MASON, OH— The Mason Deerfield Chamber (MADE) launched their inaugural Leaders Are MADE leadership program on Tuesday, February 27 at Manor House Banquet & Conference Center in Mason, Ohio. 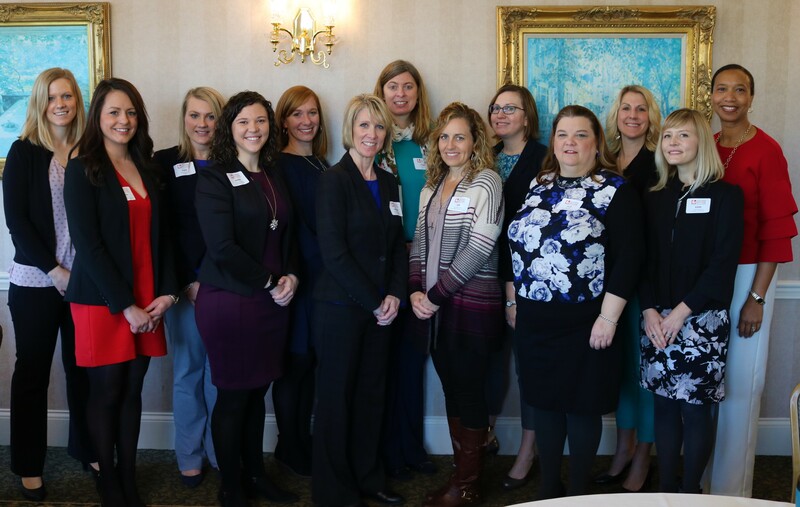 With more than fifty percent of Mason-Deerfield’s workforce comprised of talented female professionals, MADE is excited to now offer a program committed to inspiring, influencing, and championing women of the Mason Deerfield Chamber as they grow in their leadership roles. The Leaders Are MADE Program provides a venue to educate, connect, and grow professionals of all careers in the Mason-Deerfield community. This maximization of local talent will continue to propel the success of the region while providing emerging female professionals the opportunity to enhance their leadership skills and develop professional networks that will serve them throughout their careers. Alexa Grote, Rooted Grounds Coffee Co.
Melissa Sexton, Skanska USA Building, Inc.
Enrollment for the Leaders Are MADE program is ongoing, with a new class beginning each February. Highlights from the kickoff event can be viewed, here. The Mason Deerfield Chamber, founded in 1968 as the Mason Area Chamber of Commerce, serves nearly 600 businesses and organizations around the Mason-Deerfield and surrounding area. The Chamber exists to be a lead collaborator and catalyst organization that insures the Mason-Deerfield region is a vibrant place to visit, live, and do business through inclusive programs and services. Learn more about the Chamber by visiting MADEchamber.org.